Every day, throughout Los Angeles County, families face the pain, heartache and cost that comes with divorce, legal separation, paternity/parentage disputes, domestic violence and a wide range of other family law issues. Unfortunately, although there is no lack of attorneys that offer family law representation, it can be extremely difficult to choose an attorney who meets your individual values, needs and ideals. The key to effective representation in family law matters, where the attorney’s input and impact can effect a family’s future in unimaginable ways, is to find the advocate who can reach beyond the law books to focus on YOUR needs as a client, the structure of your family and the economic realities facing your family. Laurent Legal offers compassionate and experienced representation in all areas of family law, along with the ability to appreciate the particularities of a family’s needs. Donna Laurent has a track record of dedication to helping every client find and achieve practical solutions that meet their legal, emotional and financial goals while taking all necessary steps to insulate the family, and the children in particular. from the risks involved in traditional family law litigation. It is not only essential to understand and excel at the practice of law, but it is often more important for a family law attorney to be attuned to the emotional and economic dynamics of the dissolution process every step of the way. Helping to predict obstacles before they arise, establishing realistic priorities, and structuring reasonable and practical solutions are the best ways to avoid the pitfalls in the jungle of family law. Donna Laurent has been in practice for over 20 years in Los Angeles County and is exclusively devoted to the practice of family law. She has witnessed and litigated enough family law extremes to be able to predict and plan the best way to navigate the system for you and your family in a cost-effective manner. This allows her clients to know what lies ahead so they can choose the path that meets their own needs, timeline and financial attainability. Divorce — Ending a marriage is rarely something that one plans for ahead of time. Donna works closely with you to identify the issues, help you understand the process, and assist in the important decisions. From making decisions about service of papers, filing the Petition, exchanging disclosures and negotiating settlement, Laurent Legal handles dissolution matters through from start to final Judgment. Although the process can be as simple as filing initial pleadings, exchanging mandatory financial disclosures, and then negotiating a stipulated Judgment, this is not always a reality. We are fortunate to work on many cases that never see the inside of a courtroom and it is our goal to provide that for all of our clients. Unfortunately, the majority of family law matters are far more complex and require intensive assistance. Laurent Legal offers experienced assistance in either scenario and those that fall somewhere else along the spectrum. Division of assets — Donna’s years of experience in crafting and negotiating agreements as well as litigating complex business, taxation and valuation matters give us expertise to assist clients in moving forward with the confidence that they will have the strength and support necessary to repair and rebuild. Her experience with clients in all aspects of the entertainment industry give us the mastery required to handle issues such as division of intellectual property/licensing rights, deferred compensation, union and other such unique benefits as well as the skills to fully assess factors such as contract negotiation, industry expectations and the distinct level of discretion necessary to protect every client’s privacy. Child custody — Donna is no stranger to the heartbreak of child custody disputes, the accusations often alleged, and the risks of taking even the very first step into custody litigation. Laurent Legal represents and provides advice and consultation at every stage of custody matters — from the moment disputes or concerns arise even prior to filing an action through post-Judgment disputes and proceedings for modifications. Donna’s past caseload has included lengthy custody trials involving domestic violence, parental alienation, move-away requests, special needs issues and challenging the recommendations of child custody evaluators. Her thorough understanding of the family law system, the players and the playing field help Laurent Legal present every client with a variety of options that best meet their needs. Laurent Legal empowers clients to confidently navigate the road ahead. Child support — Though many Los Angeles County residents commonly know that California child support is strictly defined by support “guidelines” detailed in the Family Code, a keen understanding of the nuances and the effect that detailed data input can have on the resulting support award allows our team to find the best support award possible. Understanding of these nuances is only mastered by attorneys who have a dedicated practice in the area of family law. Further, although unfortunate, it is a reality that people often seek additional custody in order to reduce their exposure to child support. It is crucial to have an attorney who understands the realistic application of the guideline support calculation, the range of factors influencing strategic calculation of income and deductions, and who can ascertain the circumstances that may allow for a support order that “deviates” from the guideline where necessary to meet a child’s or family’s needs. Laurent Legal has the experience to read between the lines and to take support calculation beyond the basics, if appropriate. Children with special needs — Child custody, child support and division of property are all areas deeply influenced by the unique challenges for families of children with special needs. As one of the few firms that regularly represents the parents of children with special needs, we are routinely asked to serve as mediators, consultants and advocates for such families. 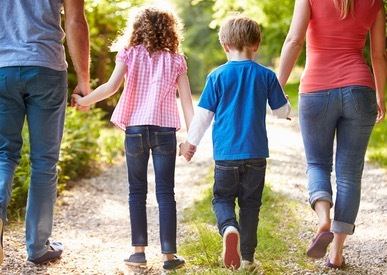 Our experience and expertise in this area enables us to assess family law matters while focusing on the often dynamic and often subtle impact of a child’s needs and services. Laurent Legal can comprehensively craft custody, support and property division orders that accommodate for a child’s unique medical, educational, emotional and developmental needs. Domestic violence — Donna, immediately past Board President of non-profit domestic violence shelter Haven Hills, which serves families in the San Fernando Valley area of Los Angeles County, has many years of experience representing parties on both sides of domestic violence matters. She represents both those who have been the victim of abuse as well as those accused of having perpetrated such actions. Her many years of experience and work in the community with organizations that provide assistance to the victims of domestic violence enables her to appreciate the psychological and psychosocial dynamics associated with being exposed to trauma in order to seek and craft effective protective orders in this highly sensitive area. Dedicated to protecting the rights of her clients and their children, Donna is astutely aware of the impact that the various aspects of domestic violence, family violence and the cycle of violence can have on a family as well as the influence that that effect can have in so many other areas of a family law matter including custody, support and attorney’s fees. Donna’s compassionate approach reassures and helps clients facing divorce in Los Angeles County. She is dedicated to helping them through the family law process — from start to conclusion. She finds personal solutions to each issue that arises. Call Laurent Legal at 818-946-3100 or contact Donna online to schedule an appointment for consultation.